Care to be Different > Articles > NHS Continuing Healthcare > What is a joint package of care? What does it mean to have a joint package of care? Essentially, a joint package of health and social care is where funding comes from more than one source – it’s usually a mixture of NHS and local authority funding. One of the alarming trends families have reported is that people with full NHS Continuing Healthcare funding – whose needs have not reduced and are not likely to – are having their funding downgraded to a joint package of care. The impact of this is, of course, that the local authority element of the funding will be means tested. Other families report having NHS Continuing Healthcare assessments that show eligibility for full NHS Continuing Healthcare funding, and yet they’re given a joint package of care instead. A joint package of care (generally speaking) means the NHS won’t have to pay the full cost of care. The National Framework guidelines state that a joint package of care is given when a person has some healthcare/nursing care needs, but not enough to warrant full funding. It’s says that, “taken as a whole’ their needs are not beyond the powers of a local authority to meet”. At the same time, the NHS retains some funding responsibility. 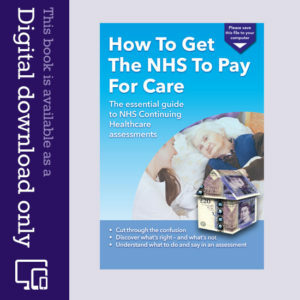 This could, however, be seen as a contradiction: the National Framework makes it clear that where a person has a level of care needs such that the NHS is legally obliged to pay, the NHS should also cover ALL social care needs as well. So, in any assessment where a joint package of care is recommended, the key question to ask the assessors is: why is full NHS Continuing Healthcare not being recommended instead. Tip no. 25: Cognition and mental capacity – what’s the difference? I have been trying to understand how joint package of care arises. I agree with Jenny that if the totality of needs are beyond the legal remit of social services then the NHS is responsible and if the NHS is responsible then it is responsible for funding all assessed needs, social care needs as well as health needs. I think, having re-read the NF, that what it says is that where someone is not found eligible for CHC a joint package of care can be considered eg social services funding a care home place but with Funded Nursing Care funded by NHS. Clearly joint packages of care are being abused as an alternative to fully-funded NHS CHC. Just another area of CHC that is being misinterpreted to save money, because obviously the social services share of the joint package is means tested so patients/families can be forced to contribute. I agree, I think joint funding becomes difficult to understand because it considers the legal responsibilities of each organisation, NHS and Local Authority. The process that determines which needs are beyond what the Local Authority can meet and which needs they can meet, are often unclear. I didn’t know until recently that they are regulations that set out a national eligibility criteria for social care, that determines the needs that the Local Authority can meet. What are the needs that the local authority (social care)has the power to provide? If a person is not eligible for NHS Continuing Healthcare, the NHS and the Social Worker should use the last DST to determine the needs that beyond the powers of the local authority to meet on its own. 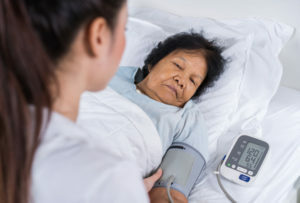 This will include needs beyond the Care and Support National Eligibility Criteria AND/OR any needs that require a Registered Nurse ( Section 18-20) Care Act. 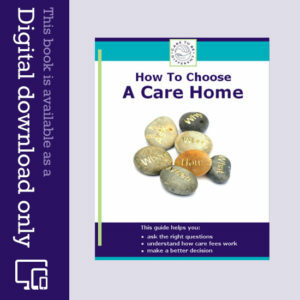 The Local Authority must provide the care and support as they can lawfully provide. 264. The NHS and the Local Authority should work in partnership to agree their respective responsibilities in such cases, to ensure the individuals needs are met. 269. Jointly coordinated CCG and local authority reviews should be considered for any joint package of care in order to maximise effective care and support for the individual. I’ve never understood how a joint package of care arises. It is, as you point out, a contradiction in terms if a Decision Support Tool has been properly completed and the scoring indicates a Health Need. At that point, the totality of needs must be beyond the remit of the local authority. Shared Care has become another widely used misinterpretation and misunderstanding of The National Framework and Coughlan which benefits the NHS and the Local Authorities wherever they can offload the medical care onto fee paying individuals. Is it really worth appealing if this happens to you as both the local authority and the NHS Continuing Healthcare nurse seem to be unanimous.